We’re always looking for different ways to use fabric, right? Wouldn’t it be fun to use our favorites to make a piece of furniture? 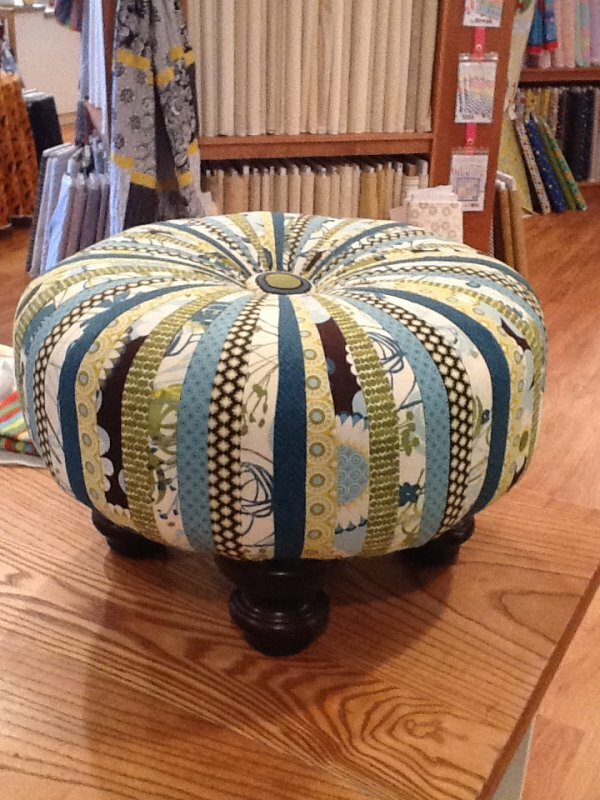 Over two sessions, Julie will guide you in making a unique tuffet! If you know how to use a rotary cutter, and if you can sew a straight line, this class will be fun, fun, fun! In the first class you will learn the technique to make the tuffet cover. You will go home and finish the cover before the second class. Then, you’ll come back, and we’ll put it all together! We’re talking upholstery! It’s easy AND beautiful, and Julie will guide you through the entire process. Materials Included: Instructor supplies air compressor, pneumatic staple guns, staples, upholstery needles and thread, goggles and earplugs for second class.